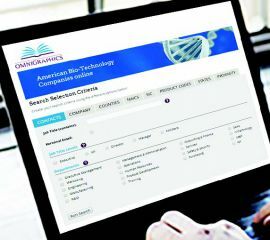 A complete reference lookup database of US biotechnology, medical device, life sciences and pharmaceutical companies with descriptions, key executives and contact information. Biotech is a fast growing part of the US landscape with thousands of jobs becoming available each year. This easy-to-use search product provides simple search by location, category, type and other factors.